thanks Ana and Reg for the pics! Do you love denim? What's your favorite Giordano item? :) Share! Follow them on Facebook (www.facebook.com/GiordanoPhilippines) and Twitter (www.twitter.com/giordanophil). i love your look! classy denim! what place did you take the photos? and oh. the bag! you forgot to feature it. may i know where did you bought the bag? Love this, tey, pati your hair!! :) Ganda mo! I've been searching for the "perfect" denim shirt, havey pala sa Giordano! ♥ Haha makadalaw minsan! :) Congratulations for styling Karylle, Pax!! Galing galing talaga :) See you soon!!! I love denim! And I can clearly remember their signature shirts back in highschool! Haha! And I was feeling bad because all the members of my family were wearing Giordano pants, shorts and shirts, except for me 'coz their smallest size were too big for me back then. Haha! Giordano memories! Napaghahalataan ata age natin sis!!! Love the look dear! Classic! 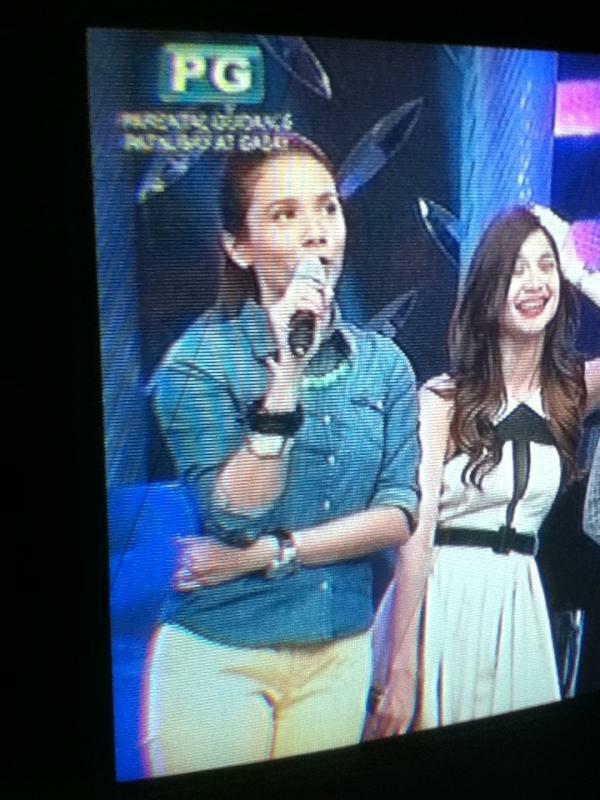 Btw, are Karylle's colored jeans the garterized one? :) Those were the only ones available na colored in the store I went to. i really like the clean-and-chic combination of denim shirt and white pants!! spiced with those uber awesome neon wedges!! CHIC! !